Copyright © 2015 dLt Casting & Productions, All rights Reserved. How would your friends / community describe you? Why do you want to do this show? What scares you about losing modern conveniences and going off the grid? 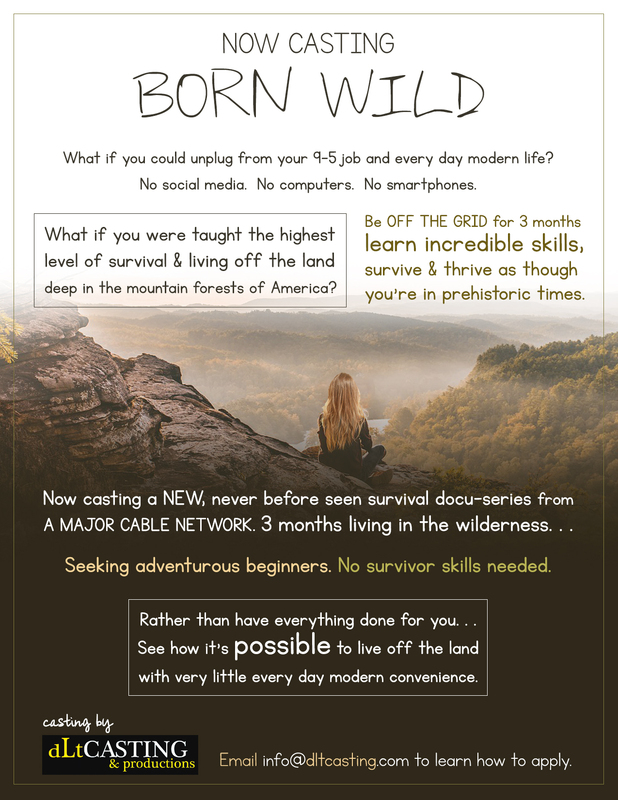 What excites you about going off the grid? What is the hardest thing / things and / or situation you've had to overcome in life? Stay in touch for latest news, and casting calls. Copyright ©2017, dLt Casting & Productions. All Rights Reserved.